First the Philippines, now Malaysia is being drawn deeper into China’s orbit. 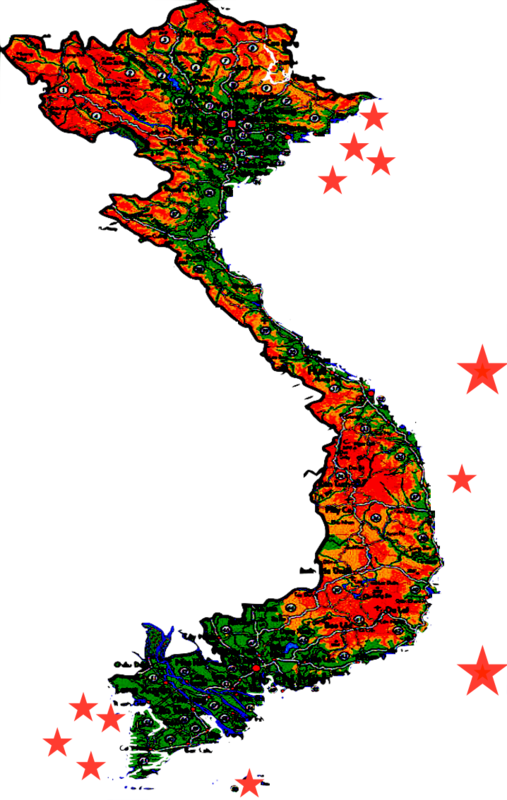 Are dominoes teetering again in Southeast Asia? The limitations of that metaphor were clear in the Cold War, and are even more so now given the region’s much greater geopolitical fluidity. Nevertheless, anxiety is mounting among the U.S. and its stalwart Pacific allies after the Philippines’ abrupt tilt toward Beijing. President Rodrigo Duterte’s kowtow from Davao suggests a wave of realignment could happen within the Association of Southeast Asian Nations. Malaysia’s Prime Minister Najib Razak is the latest Southeast Asian leader to be feted with red-carpet treatment in Beijing. In advance of this week’s trip, Mr. Najib confidently exclaimed that new heights will be scaled in Malaysia’s already strong economic relationship with Beijing, worth $56 billion in annual trade last year. China’s planned investments in “maritime silk route” infrastructure astride the Malacca Strait are likely to receive a further boost during the visit. A Chinese firm has been awarded a $13 billion contract to build a new 620-kilometer east-coast rail link from Singapore to Kuala Lumpur. The most eye-grabbing element of the agenda concerns Malaysia’s anticipated decision to order at least four, and as many as 10, Chinese-designed warships. Arms deals don’t automatically signal strategic reorientation. But Kuala Lumpur’s first major defence purchase from China has particular symbolism in a South China Sea setting, where Beijing claims territory occupied by Malaysia, and Chinese fishing and coast-guard vessels routinely appear in its exclusive economic zone. The context is discouraging. Malaysia’s recently announced defense budget will sharply cut air-force and navy spending, denying capabilities that Malaysia needs most as a maritime nation bisected by the South China Sea. Plans for a new amphibious unit within the armed forces have been ditched, curtailing a promising area of engagement with the U.S. Marines. Under these circumstances, earmarking funds to buy Chinese ships looks like supplication. Malaysia counts less in strategic terms to the U.S. than the Philippines. That is as much a function of geography as of alliance fealty, given the Philippine archipelago’s bulwark position in the South China Sea. But Malaysia also carves a long crescent around the Sea’s southern periphery, from the Gulf of Thailand to eastern Borneo. Malaysia has longstanding military links with the U.S., but is more directly and historically important to Australia, through the Five Power Defence Arrangements. Australia continues to play a role in Malaysia’s air defence and flies scheduled surveillance patrols over the South China Sea from the peninsula. There is little risk that Mr. Najib is contemplating a full-fledged “defection,” à la Mr. Duterte, on his visit to China. Nor is he likely to renounce Malaysia’s existing ties to Western defense partners. Malaysia’s security establishment by and large values these links over others. Past acquisitions, including Russian fighters, don’t commend the addition of another untried foreign supply chain, especially one with unseen conditions attached. But politics trump such reservations. Mr. Najib has none of Mr. Duterte’s visceral animus towards America. Indeed, his balancing inclinations brought Malaysia into the Trans-Pacific Partnership trade pact. But U.S. legal probes, lodged this July, into the country’s sovereign wealth fund, personally stung him. Battling domestic political opponents on multiple fronts and reliant on Chinese investment to prop up distressed government assets, Mr. Najib’s diplomatic compass has fixed north on China, the obvious source of nonjudgmental largesse. He harks back to the legacy of his father, who normalized relations with China back in 1974. But in reality bonds of political expediency tie him to Beijing. 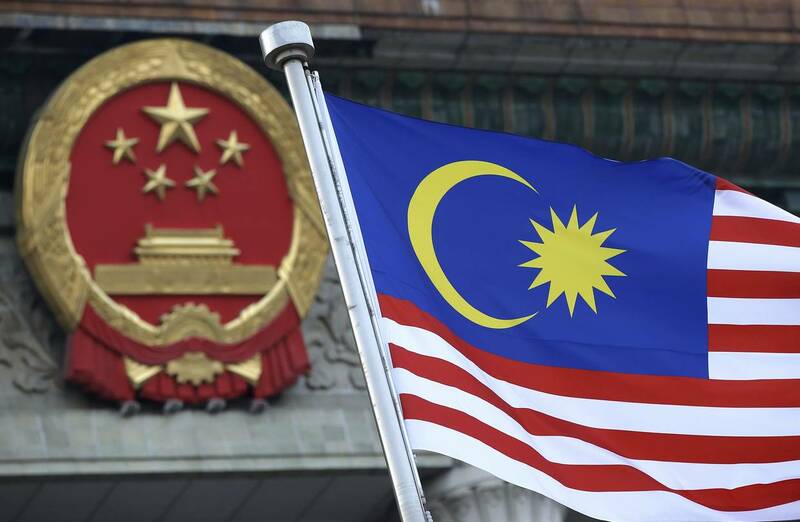 More likely, Malaysia will gradually shy away from exercises or activities deemed potentially “provocative” to Beijing. Kuala Lumpur is likely to tread with increasing caution in the South China Sea, seeking bilateral accommodation where it can. Thailand is the other U.S. treaty ally beside the Philippines in Southeast Asia, but its political fate is deeply uncertain and a submarine purchase from China is still potentially in the works. Singapore, a non-ally, is currently Washington’s most dependable defense partner. If the Philippines holds its eccentric course under Mr. Duterte, this odd state of affairs will become the new normal. Mr. Najib’s visit could also be a nadir. Reports this week that Australia and Indonesia are discussing maritime patrols together in the South China Sea send a countervailing message that exploratory “rules-based” alignments are also possible outside of the traditional U.S. alliance framework. Tenuous as this bilateral undertaking remains, it should ease fears of dominoes collapsing in the South China Sea. Mr. Graham is director of the international security program at the Lowy Institute in Sydney. Obamas foreign policy focus swing to the Pacific shows the same results as it did in the middle east, terrible results. China through slow insidious intrusion has resulted in militarized islands being built, the Philippines leaving the US sphere of influence, Malaya slowly moving away and countries like Thailand developing a military dependence. The reality is that the US foreign policy now is as bad if not worse than it was when Carter was president and that is BAD! What, an article about China and nothing from Joker Liar Tantrum in nearly 3 hours?